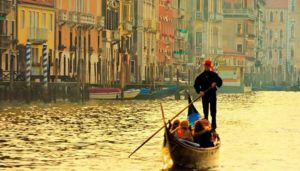 How to get from Treviso airport to the centre of Venice? Several shuttle buses allow you to reach Venice for around €12 in less than 45 minutes. 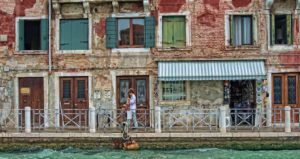 When you booked your flight to Venice, you chose the Ryanair option which is the only airline offering flights to Venice (or rather Treviso) from UK, Ireland, France, Belgium and others european countries. Despite saving on the price of your plane ticket, the only inconvenience of choosing this route is having to transfer from Treviso airport to Venice. 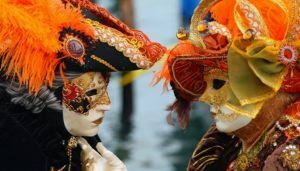 Although the fare itself is only slightly more expensive than a transfer from Venice’s main airport, bare in mind that the transfer will take more time: the journey lasts between 30 to 45 minutes. The private company Barzi Bus Service (+39 348 836 71 85; www.barziservice.com) operates a direct shuttle to Tronchetto Parking in Venice, located next to Santa Lucia station. It will then take you a good 1/4 hour walk to reach the Piazzale Roma, the historic centre of the city. Rates are listed as follows: €12 for a one-way and €22 for a return ticket (valid for 10 days). Buses operate from 8 a.m. to 10:30 p.m., and there are 1 to 2 buses per hour. The trip lasts for a total of 40 minutes. You can buy your tickets on the bus or at the ticket office in the arrivals hall. Tickets purchased via Ryanair are not valid with Barzi Bus Service. The bus company ATVO (Azienda Trasporti Veneto Orientale; www.atvo.it) also offers a service to Venice Mestre (mainland) and the Piazzale Roma in Venice. However, the journey is a little longer because the bus takes a winding road. The journey can take from 45 minutes to 1 hour. The fare costs €12 for a one-way and €22 for a return ticket. ATVO has a partnership with Ryanair, so this is the bus you will be travelling on to reach Venice if you book your ticket online in conjunction with your flight ticket. The bus is waiting outside the airport terminal. The company ACTT (Azienda Consortile Trasporti Treviso; www.actt.it) operates a bus line (n°6) that connects Treviso Airport to Treviso station (€1.30 or €2.50 if you purchase your ticket it on the bus). The journey time is 20 minutes, and the service runs from 6:00 a.m. to 10:30 p.m., with a frequency of 1 to 3 buses per hour. 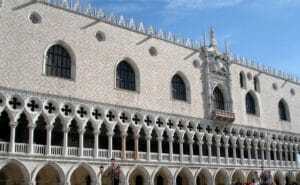 You will then have to take a train from Treviso to Santa Lucia railway station in Venice. The train ticket is usually priced at €4 most of the time. So this is the cheapest solution, but also the least practical, especially if you have large luggage. A taxi ride from Treviso airport to the centre of Venice will cost you more than €70. This option can be useful if you’re looking for more comfort and/or if you are a group of 3 or 4 people. In addition, the taxi will drop you as close as possible to your hotel in Venice. 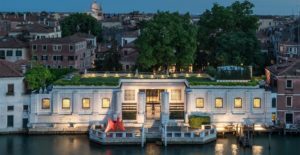 You also have the choice to book in advance a luxury transfer from Treviso Airport to Venice. However, you’ll be paying a rate of €270: the price of comfort! For transportation in the city, we highly recommended reading our article on public transport in Venice.